The Land Transportation Office (LTO) has said motorcycle owners can still use LED lighting but with certain restrictions. LTO spokesman Jason Salvador said the previous rules and regulations governing the use of LED remains, but clarified that use of LED should adhere to specific parameters. Under the new memorandum, headlights must be white or yellowish in color, and capable of being directed downward and incapable of going on blinker mode. For brake lights on motorcycles, only one is allowed, and it should be placed at the rear of the vehicle, and is to be wired to be operational. 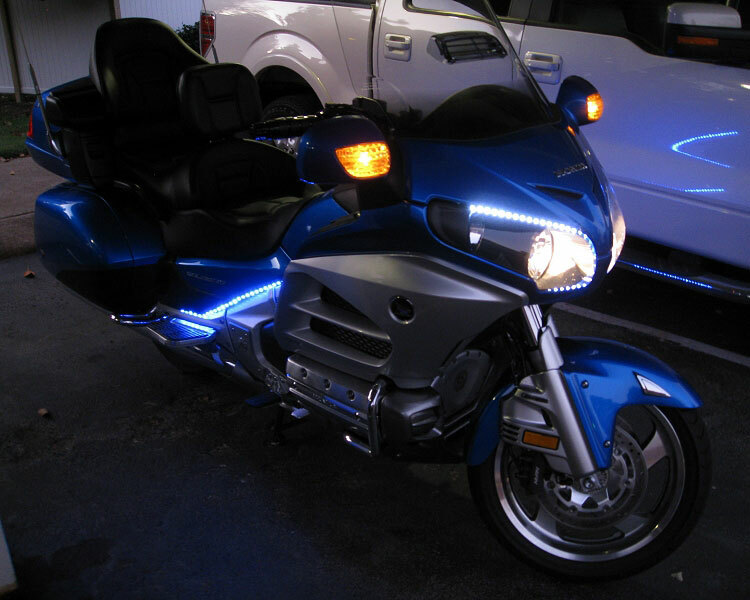 Taillights on motorcycles should only be red, and incapable of going on blinker mode, while signals lights should only be orange, yellow or amber. The memorandum did not specify that the signals are to be in working order. Other changes include the requirements for fog lamps – giving specifics to the colors of such equipment – they are to be white or selective-yellow and should only be used when there is “thick fog, falling snow, heavy rain, or similar conditions. • Mounted in a way that it would not be affected by shocks. •Not used on well-lit streets or when meeting another vehicle on a public highway. •Must have a maximum of six bulbs per lamp and not combined as one unit or placed together to form a bar.